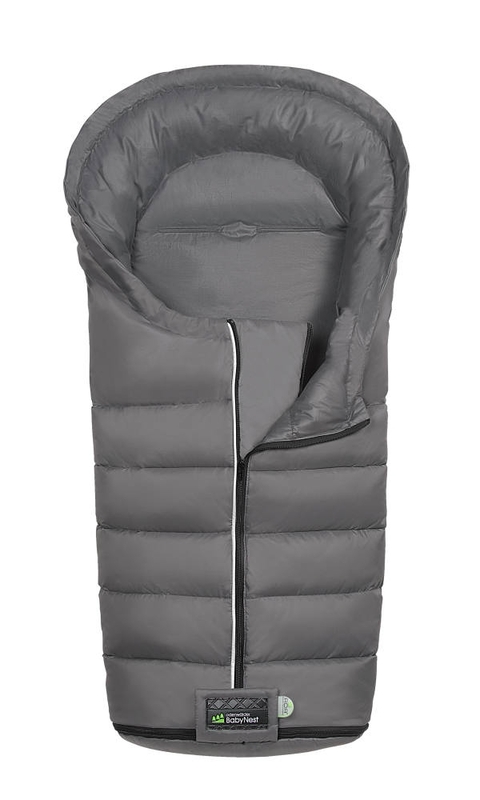 Keeps your precious cuddly and safe for winter with its warm down feather filling. 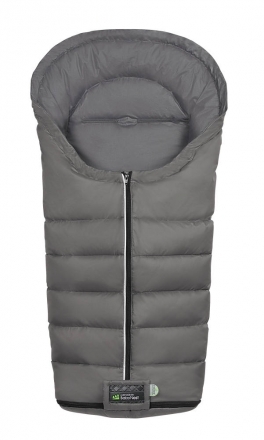 All details are well thought out and should make handling as easy as possible. 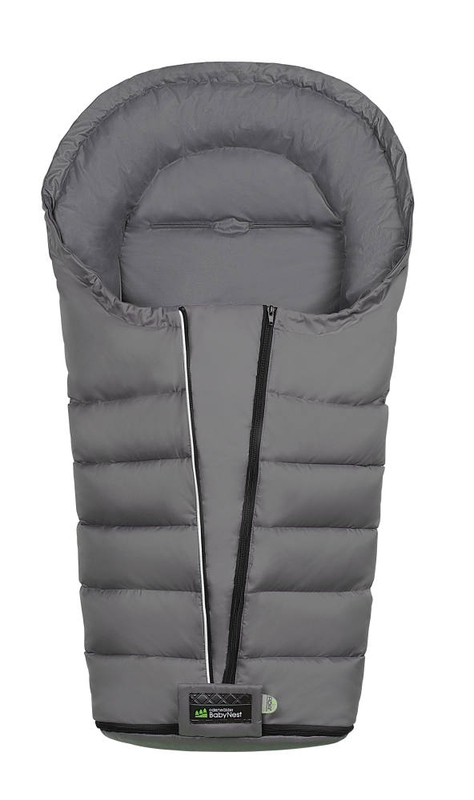 This makes it easy to unfold the footmuff completely. 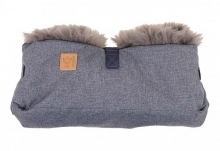 The child can get in very comfortably and the footmuff can also be used as a changing mat or play mat. The separately opening bottom makes the Mucki L even for older children still usable. 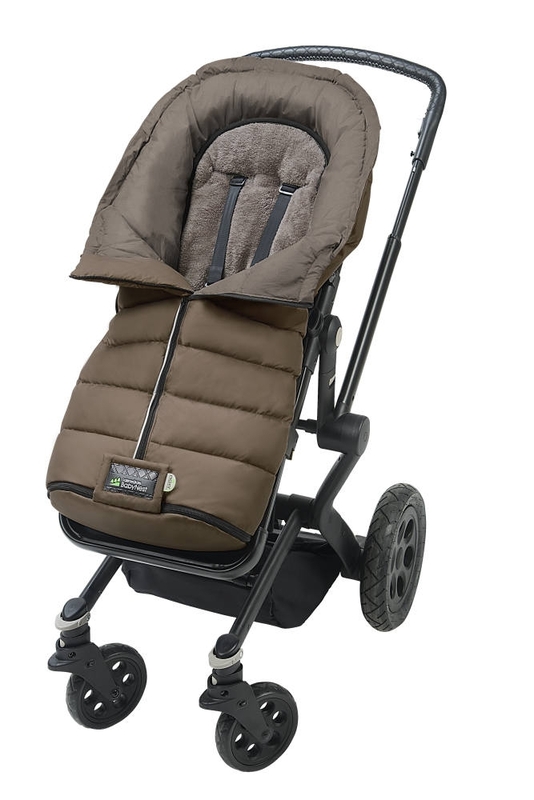 Thanks to this function, the footmuff Max not only fits in any stroller and buggy, but can also be fixed practically and easily. Up to 5-point belt systems can be pulled through the belt slots so fast, so your child is safe and secure in the car. 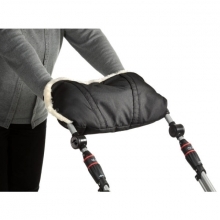 Once the footmuff is well fitted in the stroller or buggy, it is also important that your child does not slip too much in the footmuff and at the same time has enough freedom of movement. With the anti-slip material, which was specially installed in the seating area, a safe and at the same time comfortable ride succeeds. Odenwälder thinks all about the safety of your child. 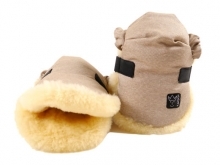 Therefore, the footmuff Max has a reflective luminescent. So you will be seen faster with your sweetheart in the dark and accidents will be prevented. The double insulated floor ensures cuddly warm children's feet. 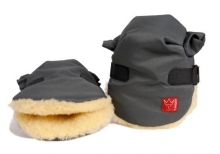 The footmuff has a water-repellent fabric on the outside and is easy to clean. 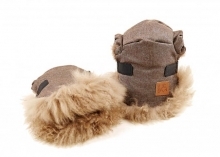 Inside, the footmuff is also coated in the foot area, so that the traces of some adventure tour can be easily removed. 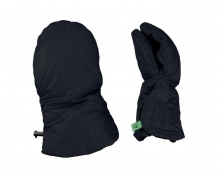 This function allows the footmuff to be fully opened to extend to a changing mat for example. 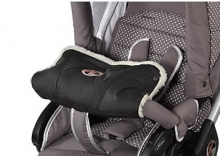 Or your child can relax its feet while driving.